Williams: Hinting at an Apple car? RANCHOS PALOS VERDES, Calif. (Reuters) -- A senior Apple executive said developing a car would be the "ultimate mobile device" when asked about new products at a technology conference today. In April, analysts at investment-research firm Sanford C. Bernstein issued a report that outlined several reasons why Apple may build a car that would compete with major automakers. 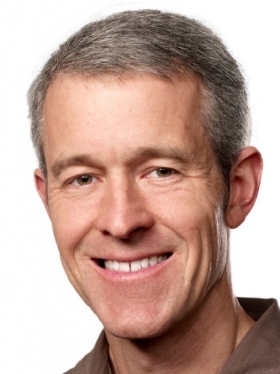 Apple has not commented on the rumors, but Jeff Williams, senior vice president of operations, hinted at an Apple car today when asked on stage what Apple would do with its $100 billion in cash. "The car is the ultimate mobile device, isn't it?" Williams said. "We explore all kinds of categories. We'll certainly continue to look at those, and evaluate where we can make a huge difference." Williams later said Car Play, Apple's car-connected app, was so far the extent of Apple's vehicle efforts.